It's no secret -- we love a good 'gram. Here, we'll be posting our favorite Instagram from the food world, on a different theme each week. We were pretty impressed with our own Not Sad Desk Lunch until we saw photographer Nicole Franzen's open-faced sandwich. She's pulled out all the stops -- salami, sungolds, and purple basil -- to give us a real run for our money. Consider the bar raised. Maybe lunch can't be this beautiful everyday, but we're trying hard -- and we want to see your best attempts, too. The next time you're about to take a bite of a picture-perfect lunch, snap a photo and show us what you've got. We want your 'grams! 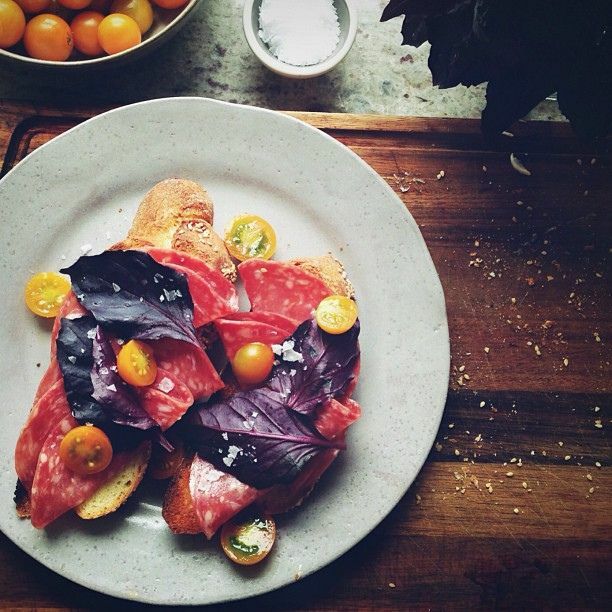 Follow us, then Instagram your best-looking lunch with the hashtag #F52grams and #NotSadDeskLunch. We'll re-gram our favorites and round them up on the site.